Last year publishing houses wanted to buy rights to my next four Creed books. A possible couple million for books I planned to write anyway? Talk about validation and prestige! There’d be talk shows, newspaper reviews, feature articles in major publications! Heady stuff, even for an old war horse like me. But I said no. I’m proud to be an independent author, proud to be self-published. Those who remember me from my first tweet in late 2009 will tell you I’ve always believed in self-published authors, always believed we could compete with industry giants. They’ll tell you I always supported indie authors by tweeting news and buying books. In some cases I bought three, four, and even five indie books at a time, announced contests, and paid to ship these books to the winners, to help indies gain not just readers, but also much-needed reviews. It would have been easy to take millions for my books, but my success came from the friends and authors I met on Twitter and through blogging, emailing, and selling books one person at a time. These are my people, and I wanted to remain loyal to those who brought me to the dance. By accepting a traditional deal, I’d have to change my style, raise my prices, slow my publishing schedule. I always wanted to help bring prestige and respect to indie authors. If I went trad, I could talk about how great it was to be indie, but would my walk match my talk? 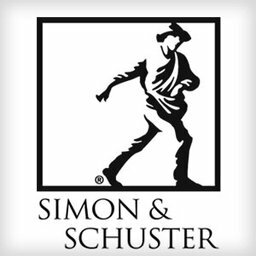 On February 1, 2012, thanks to Simon & Schuster and their amazing sales force, my self-published book, Wish List, hit retail stores across America and Canada. Thanks to them, we hit a milestone! We’re in! But the rest is business as usual. Thinking this a huge story, I hired a national publicist to book TV talk shows, newspaper feature articles and book reviews. But not a single newspaper or TV show in the country was interested in talking to me. Well, that’s fine. I’ve been here before. Last time I found myself in this situation I was told social media wouldn’t work. Now I’m being told it might work for ebooks, where all a customer has to do is click a link, but tweets and blogs will never get customers to drive to retail stores to buy a book. Will you help me prove them wrong? Will you help me prove indie books belong on retail shelves? As we speak, Wish List is in the stores, on the shelves! But outside our community, no one knows. The competition has millions of publishing dollars behind them. National media marketing campaigns, book tours, TV talk shows, newspaper ads and articles, book reviews and…Wish List has none of that. It’s an indie book. On paper, the competition holds all the cards. On paper, I don’t have a chance. But I’ve got something they can’t measure on paper. I have you! Let’s be clear: I’m not asking you to buy Wish List because it makes a good story for the Indie movement. I’m asking you to try Wish List because it’s a great book at an incredible price! If not, S&S wouldn’t have made the deal. Barnes & Noble, Wal-Mart, airport bookstores, Walgreens, others—wouldn’t have put me on their shelves. You’ll enjoy Wish List. If not, one of your friends certainly will. And yes, if Wish List succeeds in stores, S&S and retailers will do more deals with indies. I need an army of authors and friends. Will you tweet the message? Facebook it? Will you blog it? Will you help me spread the word? If so, we can send a powerful message to mainstream media: INDIE BOOKS BELONG! On bookstore shelves: WE BELONG! On best-seller lists: WE BELONG! In magazine articles: WE BELONG! In newspaper interviews: WE BELONG! In media book reviews: WE BELONG! On TV talk shows: WE BELONG! I’m asking for your help and support. Because no one on earth has the optimism of an indie author, and no one works harder. And no one believes in themselves more than indie authors, and no one is more determined. And one thing I know and believe with all my heart is no amount of money or power on earth can measure up to an army of independent authors and our friends!